When it was learned that Glen Campbell had been diagnosed with Alzheimer’s Disease in 2011, fans and critics showed well deserved homage to a man whose career had slipped in and out of the spotlight for the past 50 years. More than simply a consistent hit maker, he finally got the credit he deserved for helping to push the parameters of country music and for making it palpable for pop audiences early on. 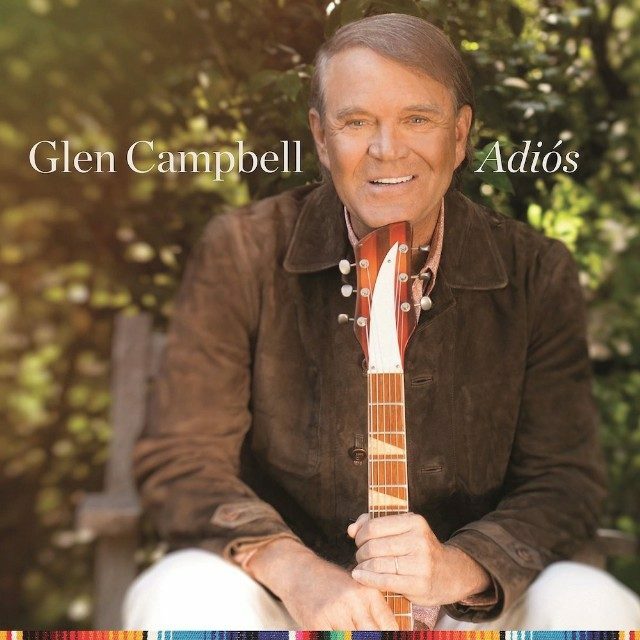 As the successor to what was likely intended to be his last recording, 2011‘s hauntingly titled Ghost on the Canvas, it’s absolutely clear now that, title aside, Adios is Campbell’s final farewell. A collection of mostly familiar fare rendered with his patented delivery -- both amiable and emotional -- it’s a poignant retreat into the twilight, and also one worthy of Campbell’s continued credence. Not surprisingly, Campbell stakes out no new ground here. Then again, there’s neither time nor incentive to do so. Consequently, the album takes a long look back, courtesy of several standards and a few select guest stars to help bid him farewell. Covers of “Funny How the Time Slips Away,” with the song’s writer, Willie Nelson, in tow, a faithful take on “Everybody’s Talkin’” that suggests he and Harry Nilsson may possibly have been twins separated at birth, and, in what may be the most daring offering overall, an usually jaunty version of Bob Dylan’s “Don’t Think Twice, It’s Alright” that’s effectively rebooted in Campbell’s signature style, help encourage a final emotional embrace. Of the latter effort, suffice it to say it’s hard to add anything original to a Dylan song that’s been rebooted as often as this. So when he sings the line, “I’m going down that long, lonesome road babe, where I’m bound I can’t tell,” his present medical struggles find a connection through a sadness and significance all its own.